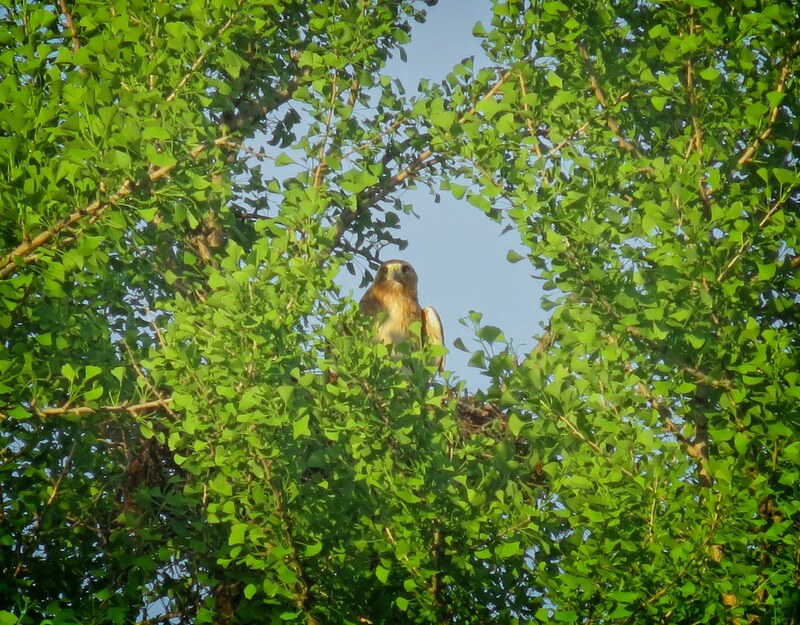 As I suspected on May 25, there has been a hatch at the Tompkins Square hawk nest. 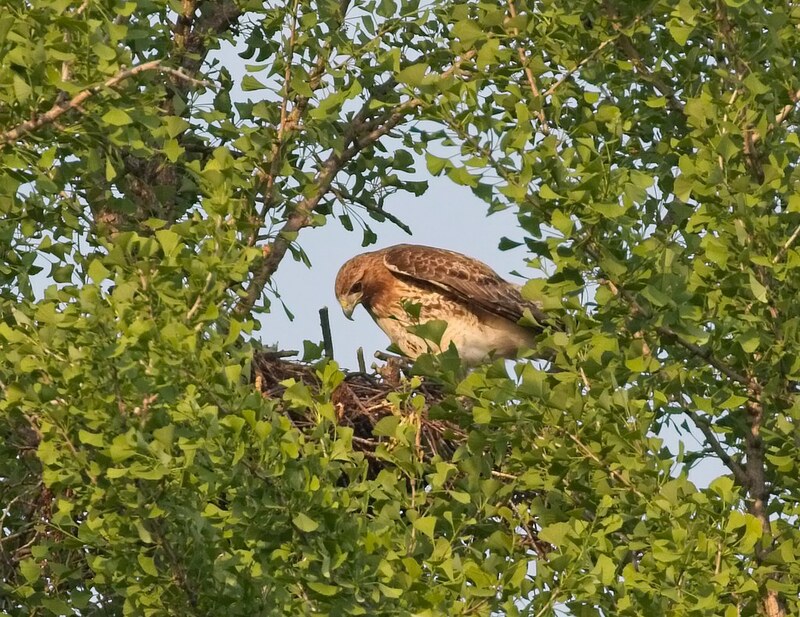 This was confirmed the following day when food was seen being delivered to the nest and a feeding took place. It's not yet possible to know how many chicks there are, but I hope we can see some fuzzy white heads appear over the rim of the nest in the next couple of weeks. Check out Urban Hawks for video of a feeding on Saturday afternoon (during the Undead punk show!). 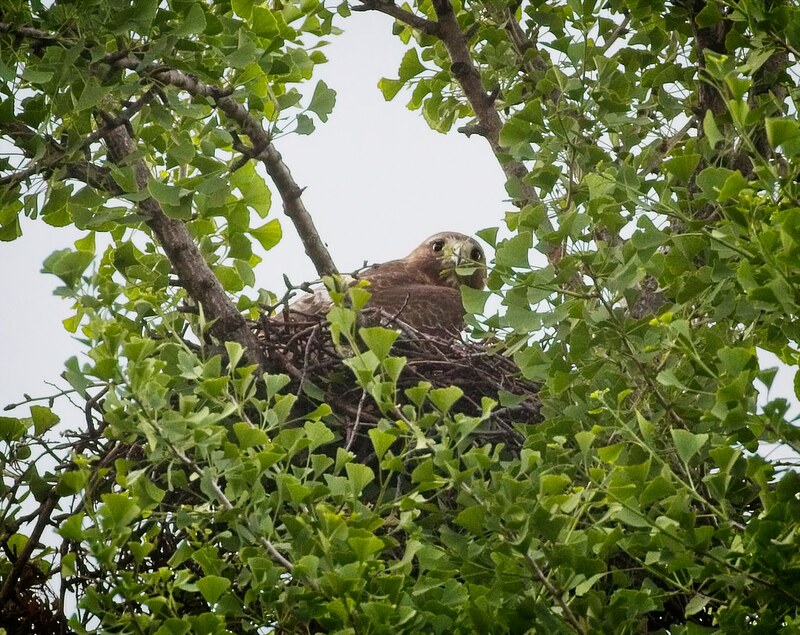 Possible hawk hatch in Tompkins Square?